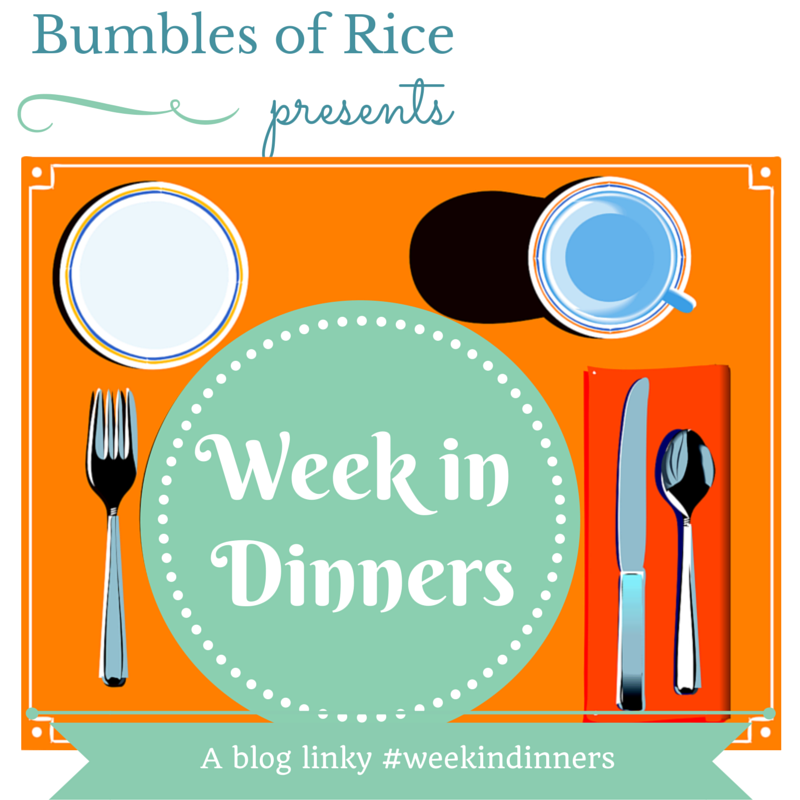 I am delighted to be joining in with the A Week In Dinners linky run by the lovely Sinead from Bumbles of Rice. I love having a nose at what everyone has been having for dinner, I'm always in need of some food inspiration. My week is starting on a Friday as it's shopping day and the day I can grab 5 minutes to make a quick meal plan for the week. It was rare occasion on Saturday that we were all at home for dinner together. Usually the OH is working until 10pm/11pm so myself and Luke would have dinner in my parents but this week we had a whole weekend off together, we didn't know ourselves. So I made us a dinner of turkey grills, garlic potatoes and mixed veg. Luke had a turkey drumstick and "bippies" aka chippies (I sliced up a potato and season with a bit of Schwartz Season All and pop in the oven for 25mins). He loves chips, this comes from robbing them off of his Grandad's plate of a Saturday evening, so I give him a healthy version. 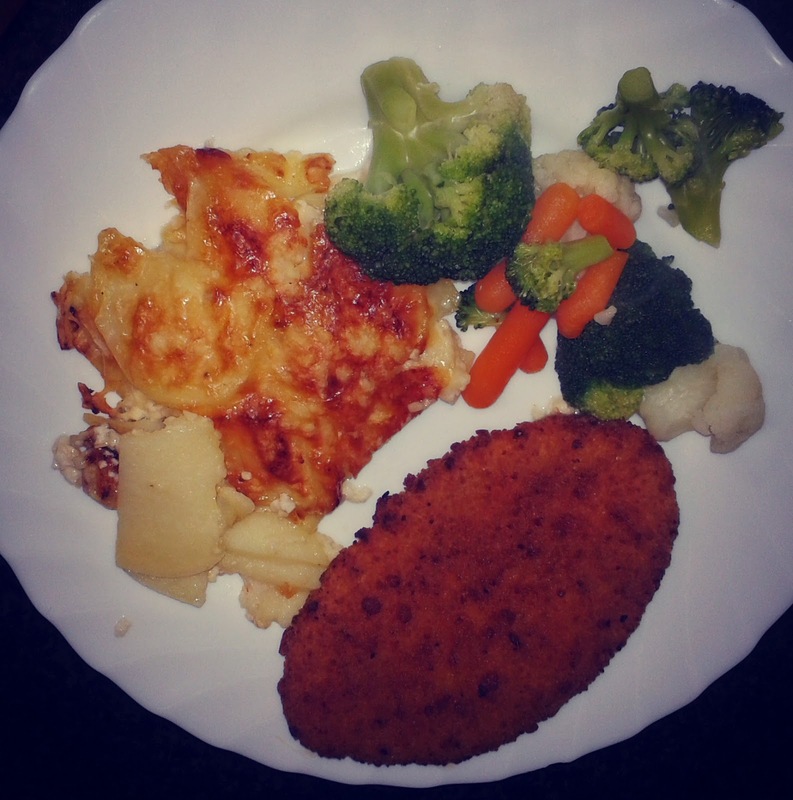 I also strategically placed some broccoli on his plate but he's no fool and didn't touch it, he used to love the stuff! 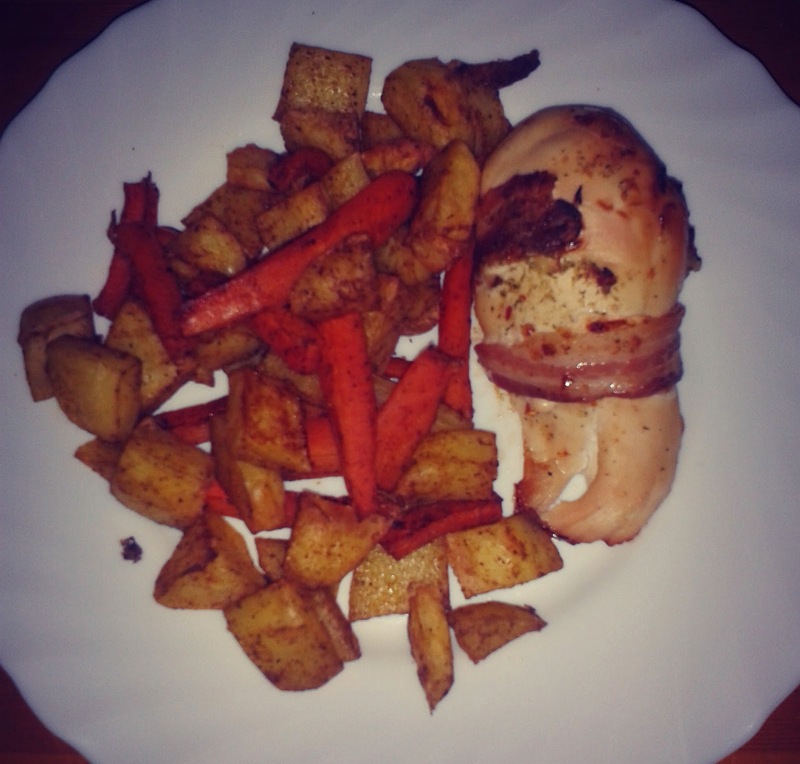 I picked up some stuffed chicken breasts wrapped in bacon from Lidl in the afternoon and cooked them up with oven roasted potatoes and carrots seasoned with the Schwartz stuff again, a bit too much came out of the pot so they were quite strong but still nice. Luke wasn't in the mood for anything other than moaning that night so he didn't bother eating anything! A dinner for one night, the OH was working late again and my Mum had Luke so he was fed by the time I collected him. 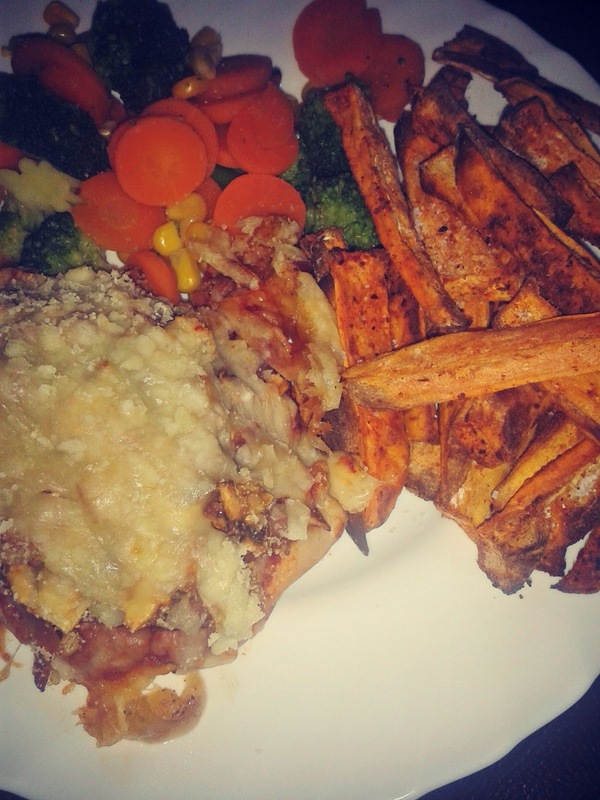 I made myself pizza topped chicken and some sweet potato chips with some veg. Sweet potato was peeled, sliced and mixed with garlic powder, chilli powder and paprika before going in the oven. I was late home because I had to go to my weigh in at Slimming World on the way home so by the time Luke was in bed we were just too tired to cook so, uh oh, we got take away...on a Tuesday...the day of weigh in, disaster! It was yummy though! Luke had mashed potato, carrots and fish fingers. 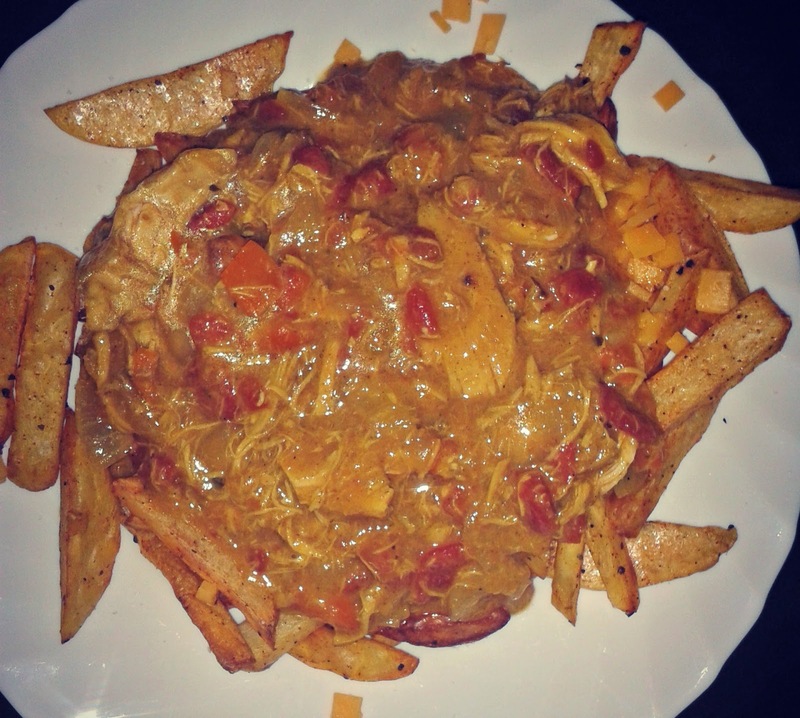 Homemade chicken curry with SW chips. Mum had made a big pot of curry and gave me some so I reheated that and made some chips, a couple of potatoes,peeled, sliced, seasoned with sea salt, pepper and paprika and put in the oven with some Fry Light spray, it was quite nice. Luke had potatoes, bacon and cabbage in my sisters before I collected him. Again the OH was working so I just threw a chicken kiev in the oven for my dinner after Luke had gone to bed. 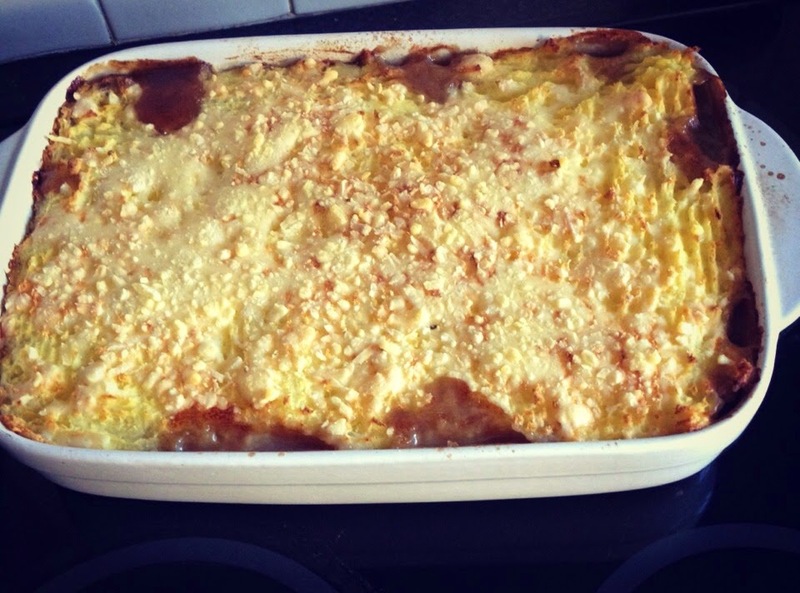 Luke had mash, mince, vegetable and gravy in my sister's for his dinner before I collected him. Thank god I didn't have to write about todays dinner - McDonalds in Cashel on the way home from Dublin!